Uber is the largest car rental service company, but it does not own any cars. Alibaba is one of the largest retailers, but it does not own of the goods its sells. Airbnb has become the largest hotel chain without owning a single hotel. The one commonality between these companies is in the way they used digital technologies to disrupt their industry. Digital Transformation is a proliferation of digital technologies across industries, changing the traditional models of doing business. As companies scamper under a deluge of digital tools and technologies, they will have to strike a balance by strategically choosing the right tools and technologies to gain competitive advantage among their peers. How will digital transformation impact your business? How are other companies transforming themselves? What are the pitfalls in your digital transformation journey to be avoided? What are the steps you can take to strategically adopt digital technologies? 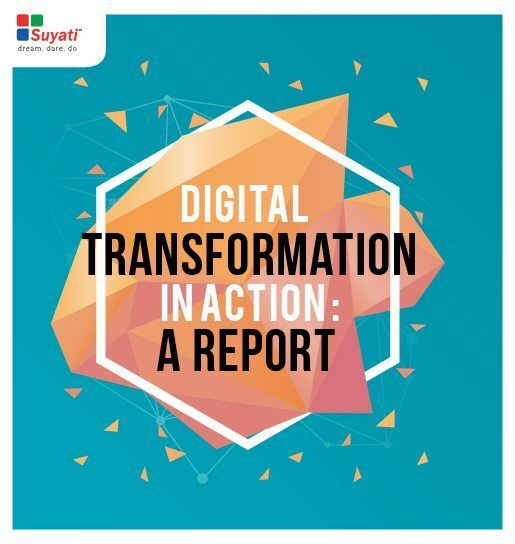 We take an in-depth look in to the dynamics of digital transformation in action in this report.